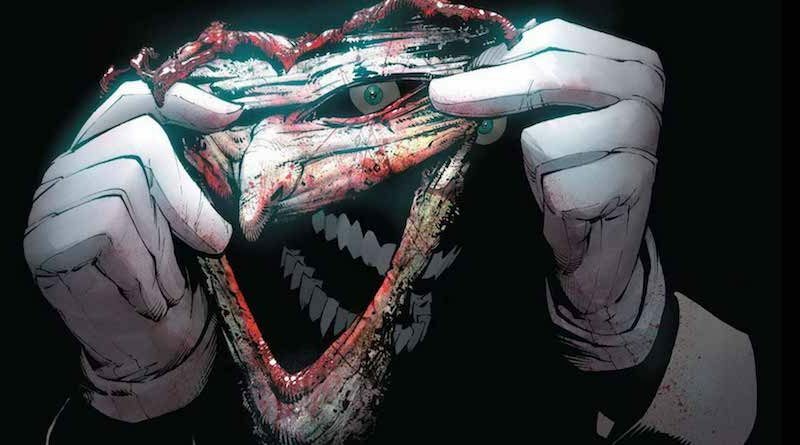 Get ready to read one of the best Joker stories ever written. Seriously. 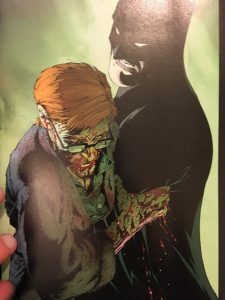 Family beats it in every way – maybe’s it’s because I am a big fan of Joker which makes the book better in my eyes or maybe it just was one of the best Batman books ever. Period. Writing a Joker book is always a tricky one, I find. The Joker is as iconic of a character as Batman himself and if done poorly can hamper a writer’s reputation and to some degree Batman’s reputation, too. 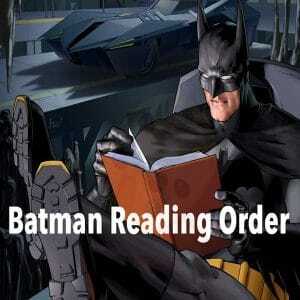 Batman, in the storyline, isn’t a mystery – we as readers have insight into his secret identity, his cave and his allies. We may never be privy to his exact thoughts at all times and he often keeps his cards (no pun intended) close to his chest but in general we know most of what can be known about the Dark Knight. The same can not be said about Joker. Yes, there have been a few books which have explored his past and origins, namely The Killing Joke (which I have read, not reviewed yet), Man Who Laughs, but still to this day there is no official backstory. We don’t know what happened in the past to the Joker which made him the Joker – we don’t know why he does what he does, what he gets out of killing or why he keeps going. This is why I love the Joker and why he is the complete opposite to Bruce Wayne. 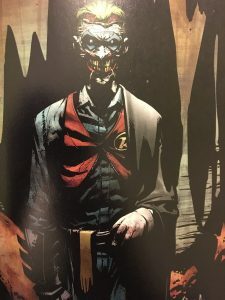 Snyder has done some wonderful stuff with the Owls and Black Mirror arc and I couldn’t wait to see what his version of Joker would be like – would he be a clown or a killer? Thankfully, he was a bit of both with a big heap of psychotic brutality and immense intelligence on top. But Joker wasn’t the only star of the show – Batman held his own and was more than a match for Snyder’s Joker in what turned out to be one of the most exciting Batman vs Joker confrontations of all time. The Joker in Death of the Family was a menace in both his actions and his appearance as he rampages through Gotham and its heroes (and some villains) and begins a journey to the past re enacting the first time Joker faced the Batman. The Joker recruits some of the biggest villains in Gotham – Riddler, Two-Face, Penguin, to enact this scene with Batman which reminds the reader who is the biggest villain out there. 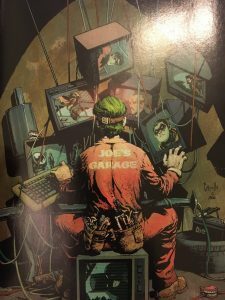 The plot is kept tense on a constant basis and kept me on the edge of my seat as I wondered hat Joker’s endgame really was. 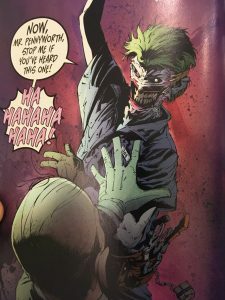 The book looks at the complicated relationship between Batman and Joker without going over old stories or seeming like you’ve seen it before. The ending is also something that will keep you coming back for more! Death of the Family is one of the best Joker books ever written. Snyder’s writing is genius and Capullo’s art is phenomenal.